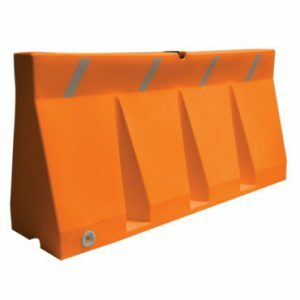 Traffic cones, also called road cones, highway cones, safety cones or construction cones, are cone-shaped markers that are placed on roads or footpaths to temporarily redirect traffic in a safe manner. They are often used to create separation or merge lanes during road construction projects or automobile accidents. Traffic cones help to mandate increased night-time visibility via the placement of additional reflective white bands on cones. 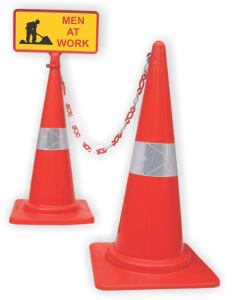 Traffic cones are compatible with message plates, plastic chain, cautionary barricading tape etc. Traffic cones are available in different sizes and shapes. 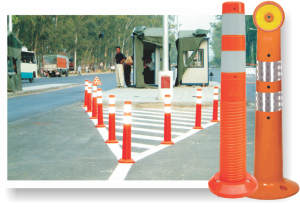 Traffic Barricades/Barriers are portable in nature and designed in a way that makes barricading more effective, safe and more stable than drums or other traditional types of barricades. These environment-friendly barricades are recyclable and made out of HQ plastic materials. They are visually more substantial and command the respect of drivers. The ‘Linear design’ of these barricades helps in making a positive visual separation between vehicles, bicycles and pedestrians. With the ability of stacking them, it helps saving up to 80% in transportation, storage and handling costs. A speed bump / rumbler are a velocity-reducing feature of road design to slow traffic or reduce through traffic. A speed bump/ rumbler is a bump in a roadway with heights typically ranging between 1 to 3 inches (25mm to 75mm). Speed bumps are useful in areas where vehicle speeds are statutorily mandated to be low. They are built using high-quality rubber and ABS plastic material to help last longer. 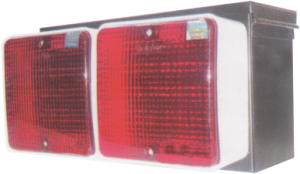 They are very useful for various spots on the Highways, Parking lots, Toll-plazas, Shopping malls, Hotels etc. 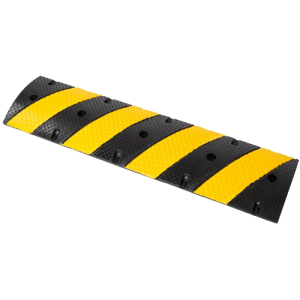 Portable speed bumps are made of rigid & durable plastic having rubberised carpet base. It is fitted with reflective tapes for long distance visibility. They are suitable for Emergencies, Events, VIP movements, Traffic Check points, Toll Collection sites etc. Delineators are designed to give the best reflective performance to show the road geometry during day and night making it convenient for drivers to keep them away from road hazards. This helps in avoiding accidents. Delineators are particularly beneficial at locations where the alignment might be confusing or unexpected, such as at lane reduction transitions and curves. 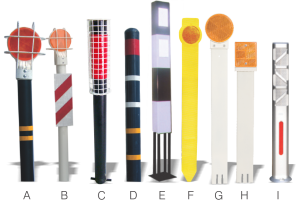 Delineators are effective guidance devices at night and during adverse weather. An important advantage of delineators in certain locations is that they remain visible when the roadway is wet or snow covered. 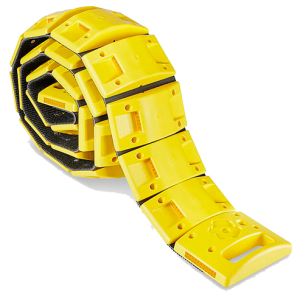 They can also be used on long continuous sections of highway or through short stretches where there are changes in horizontal alignment. These are available in various designs and sizes. Portable Blinkers can be used for traffic control, military operation, parking guides, airports, emergency security, construction jobs and many others. All they help in controlling traffic during night time and provide signals to the motorists from far off distances. Pavement markers are useful for various purposes. 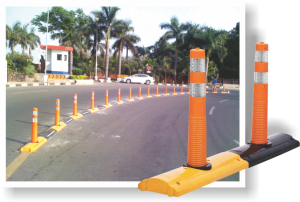 From internal city/town roads to highways, industrial complexes to special economic zones, residential/commercial townships to office complexes and from shopping malls to parking plazas; pavement markers are indeed very useful and successful for application in these areas. They are available in different sizes/colours. increased battery life and help them last longer. 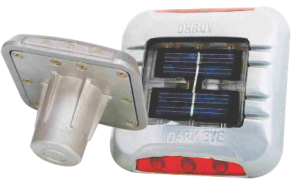 They are designed to improve the road safety level especially in places where the weather conditions negatively impact the driving visibility. Centre Verge is made out of ABS (Astronitrilite Butadiene Styrene) & PC (Poly – Carbonate) alloy, UV Stabilized material and special design with extra ribs at the bottom gives more strength to it. Built in space is given to mount highly flexible spring post made out of PU (Poly- Urethane) which is not only visible during day time due to its fluorescent orange color but in night time also as it has two bands of highly reflective tape. LDS is made with bright, durable Prismatic Grade sheeting technology with unique crimped wave pattern which provides superior visibility—even at high entrance angles. LDS is available in various colors. 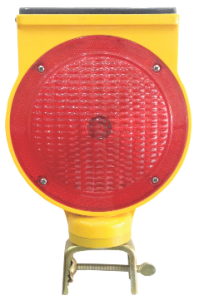 It is easy to install & is a low-cost safety device which helps to avoid accidents on roundabouts and medians. etc., that hamper road safety. safety purposes and are available in bright colours. 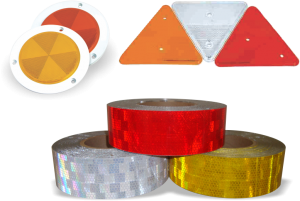 Made from the finest quality materials, these reflectors and reflective tapes are available in various shapes and sizes. These are highly durable and weather resistant. 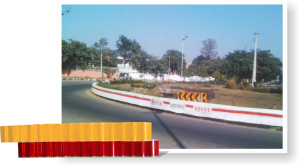 Conspicuity Tapes are meant for contour marking applications, confirming to the AIS -090 standards & tested and approved by Automotive Research Association of India (ARAI), Pune. 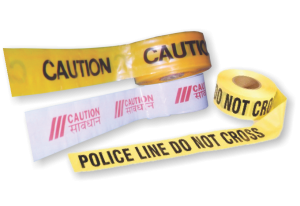 Caution Tape (also known as warning tape or police tape) is resilient plastic tape of a signal colour or highly contrasting colour combination (such as yellow-black or red-white).